19:04 | Lima, Nov. 7. 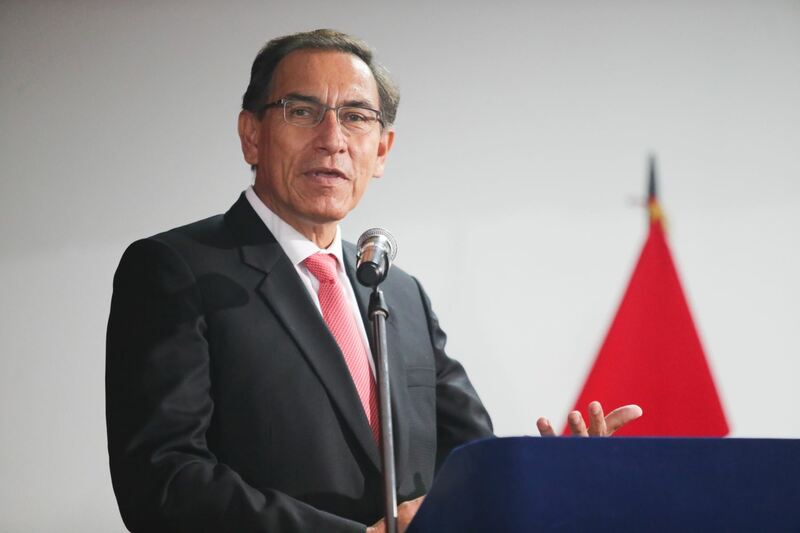 Peruvian President Martin Vizcarra on Wednesday said he is willing to cooperate with any Chinchero case-related investigation as part of his commitment to transparency in public management. Speaking in a press conference at the Government Palace, the Head of State affirmed he provided all the information required by the Public Ministry in two instances, one led by Prosecutor Jose Domingo Perez and another one by a representative of the Attorney General. After testifying about his participation —as minister— in the signing of the addendum to the Chinchero Airport construction contract, investigations were shelved since potential irregularities were dismissed. "But if additional information is required at any instance, I'm pleased and willing to provide it. We've urged transparency in our acts, and this means investigations shall not be avoided," Vizcarra pointed out. According to the statesman, he has always acted in conformity with regulations and the law. Therefore, he is willing to cooperate with any inquiry. On the other hand, he reiterated the Public Ministry should be led by a person that conveys confidence. Thus, he thinks Parliament needs to assess if Attorney General Pedro Chavarry meets such a requirement. The Peruvian leader emphasized the Congress' duty to assess Chavarry's continuity in his position and preferred not to make additional comments on the matter.